If you are looking for something a little different for your cake then our themed toppers are perfect for adding to celebration cakes. 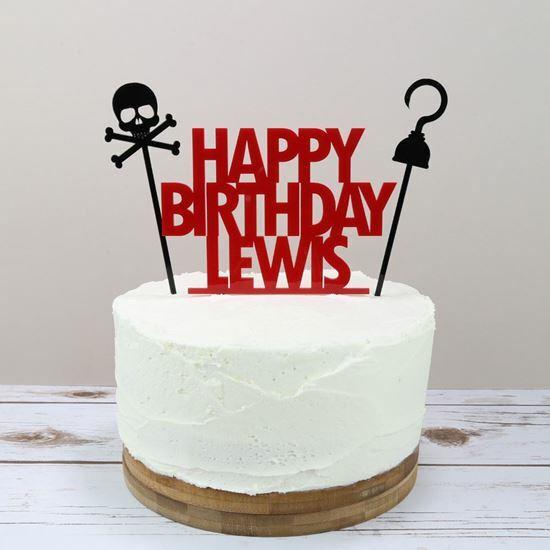 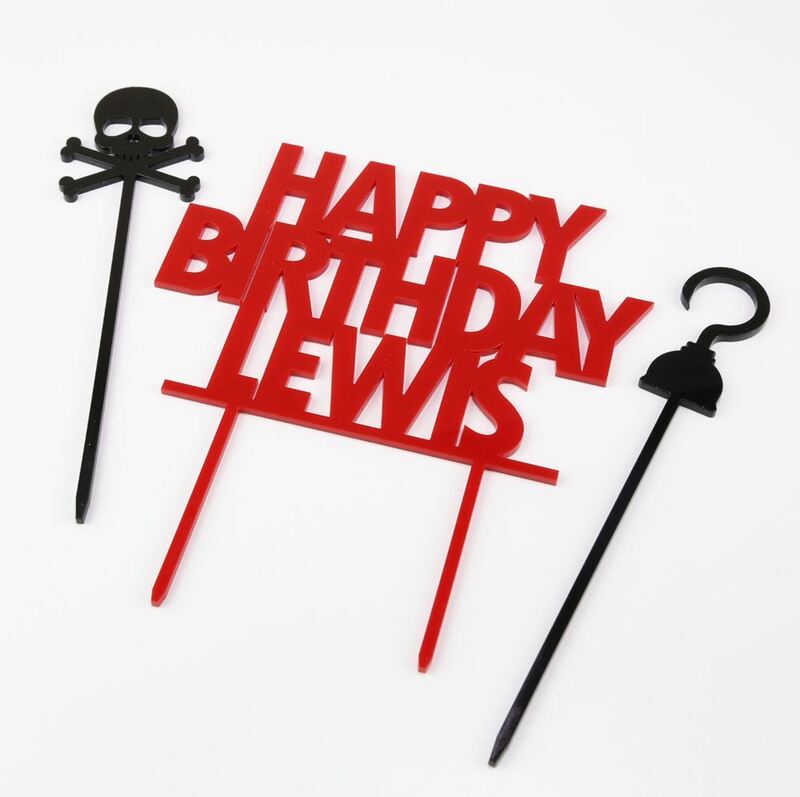 Our pirate themed cake topper is personalised with the name of the birthday girl/boy. 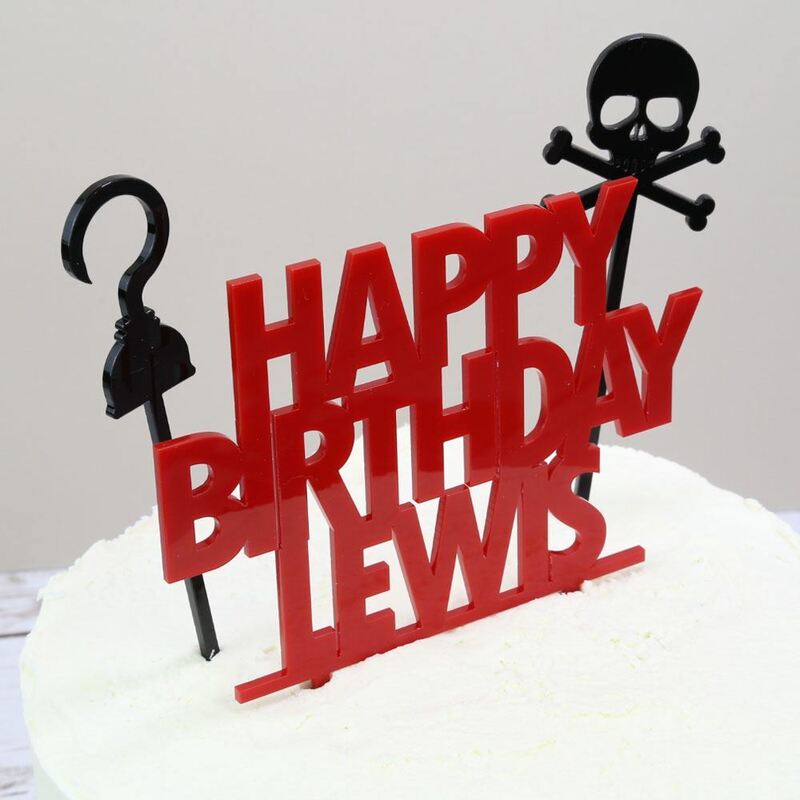 There are also 2 separate toppers featuring a skull and crossbones and hook, which can be placed elsewhere on the cake, enabling you to create your own look. 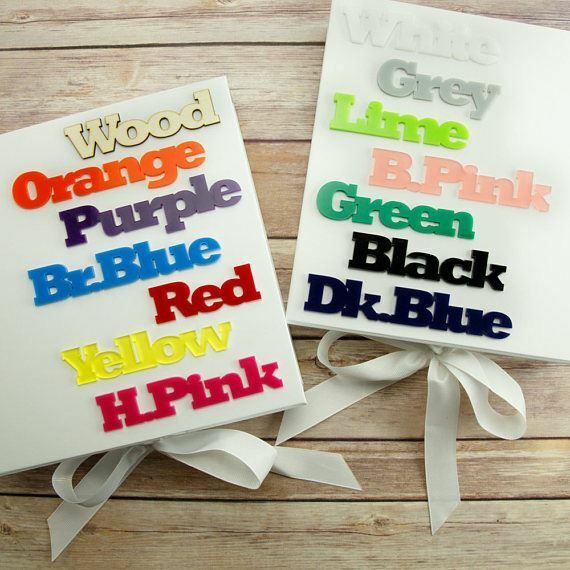 The main colour of the topper can be changed to suit the birthday boy or girl. 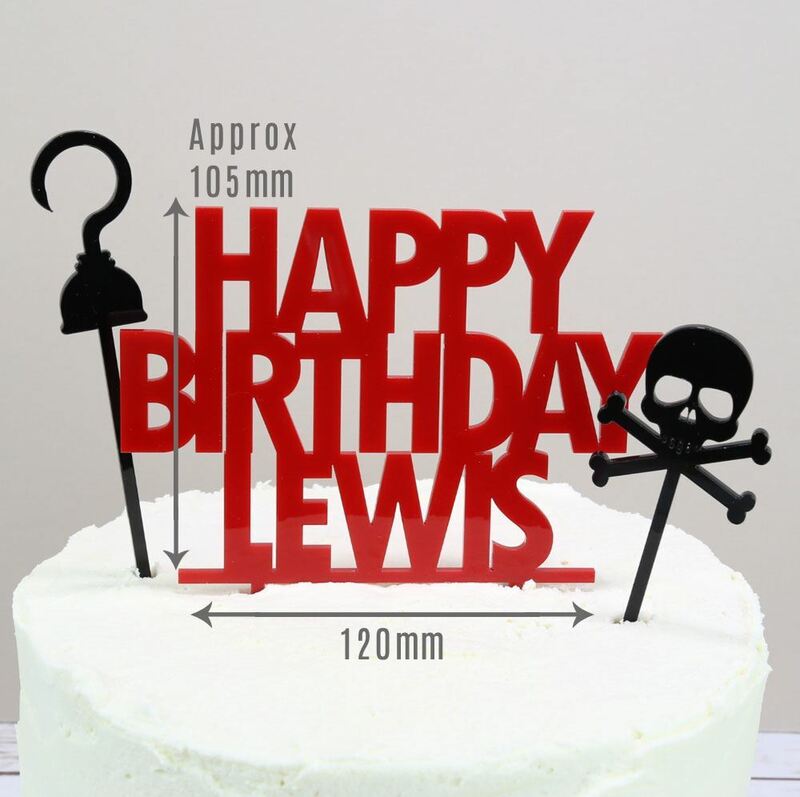 The skull and crossbones and hook will come in black unless otherwise requested.